Oh and they did win the game! My heart almost exploded from my chest four times. I cooked all day for dinner under the Broadway Bridge with our homeless friends. We had a great turnout and (seriously) just enough Italian food to feed everyone. My friend Erin and her husband joined us this month and Erin (who is an Animal Lover) wanted to bring some individually wrapped bags of dog food. I'm not going to lie y'all, I seriously doubted that any one would take it. I know there are some homeless with dogs but we haven't encountered any animals during our events. BUT Erin asked around and (seriously) the second person she talked to acted as a Dog Food Coordinator w/ one of the local non-profits to help distribute dog food around the city! How cool is that? She definitely made his night (and mine too)! We celebrated my friend Leah turning 30 with Mexican food on a patio (helllllo patio weather GET HERE and STAY HERE), some board games and a Wii dance party. 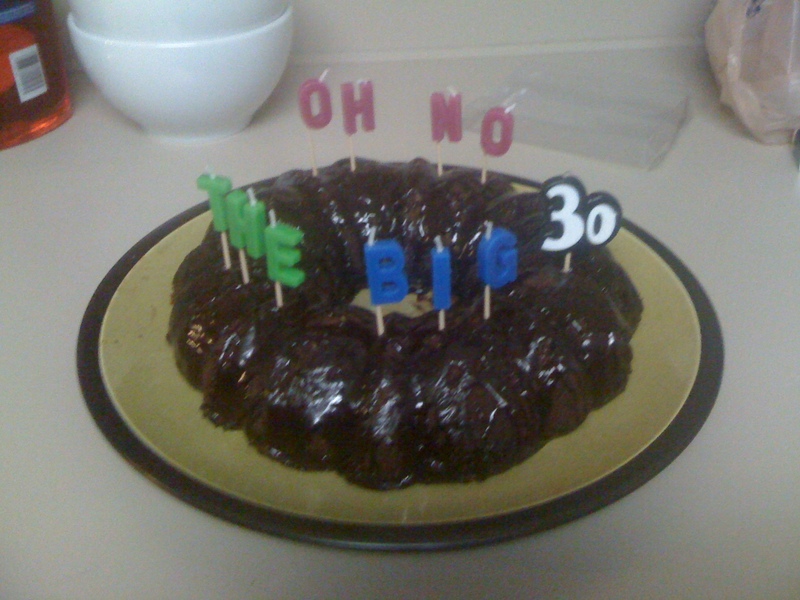 Since a lot of our group is turning the big 3-0 this year, it has been fun to make a bigger deal than normal for everyone's birthday. Last weekend, at a joint 30th party for my friends Kristen and Elizabeth The Cops even made an appearance (at the ripe ole hour of 10:30). Having the police show up kinda made us feel 22 again. HA. It was the joke of the evening anyway. Especially since everyone was winding down around midnight! We have another great week planned this week and TOMORROW BEGINS THE DREADED FEBRUARY so I'll keep you posted! I too am THAT MOM. every week. you lost me at "patio weather." You young whippersnappers and your crazy parties. Eff February. In other news, I feel like we had patio weather last week but the snow and ice have felt like they've been here for yeeeeeears. Dear God make it go away.